Legitimate companies now have a powerful tool to help steer clear of criminal activity in the digital advertising supply chain: the TAG Registry. The TAG Registry is a Who’s Who of trusted partners for any company involved in digital advertising. The TAG Registry creates a closed system including supply chain participants that demonstrate their commitment to higher standards of transparency and disclosure to their partners. Why Should Companies Get TAG Registered? 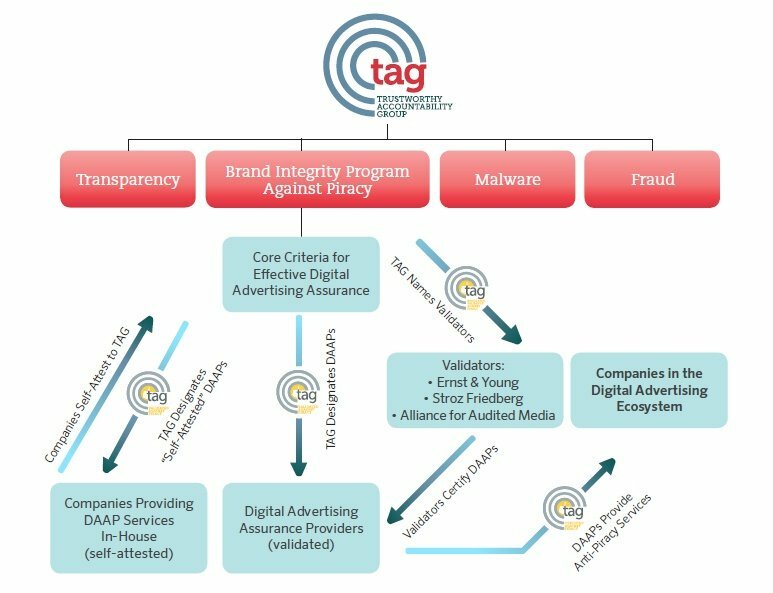 The TAG Registry identifies trusted participants in the digital advertising ecosystem, enabling companies to feel confident that they are doing business only with responsible partners and avoiding association with criminal activity throughout the entire supply chain. Is there a cost in order to get TAG Registered? TAG charges an annual fee to participate in the TAG Registry. The TAG Registration Fee covers a renewable, annual Registration participation, and can be found on TAG’s Membership Packages. This fee is used to run the TAG Registry and support continual improvement in the system. TAG will continually enhance TAG Registry features to streamline the on-boarding and vetting process. How does a Company get TAG Registered? Participating in the TAG Registry is simple. It takes a matter of minutes to get started on the road to becoming a trusted partner in the digital advertising ecosystem. Complete the TAG Registration Form online. TAG will contact the “primary contact” at your company to confirm receipt of the application, provide an invoice for the registration fee, and answer any questions regarding the application process. TAG validates each applicant company’s identity and legitimacy through a proprietary background check and review process. Legitimate companies will be approved to join the TAG Registry. Approved companies will receive a “TAG Registered” seal and a unique 16 character alpha-numeric identifier enabling them to identify their ads and inventory to partners across the digital supply chain. Enrollment in the TAG Registry will automatically renew at the end of each program year for the following year (starting at the date a company initially registered). To cancel participation in the TAG Registry, a company must provide thirty (30) days notice in writing specifying termination of the program. In the event of cancellation by Company, or suspension or revocation of program participation by the TAG, fees shall be non-refundable, in whole or in part. Additionally, all “TAG Registered” seals, listings and promotional materials will be forfeited and ineligible for use by the company. Learn more on our website or reach out to TAG with your questions.